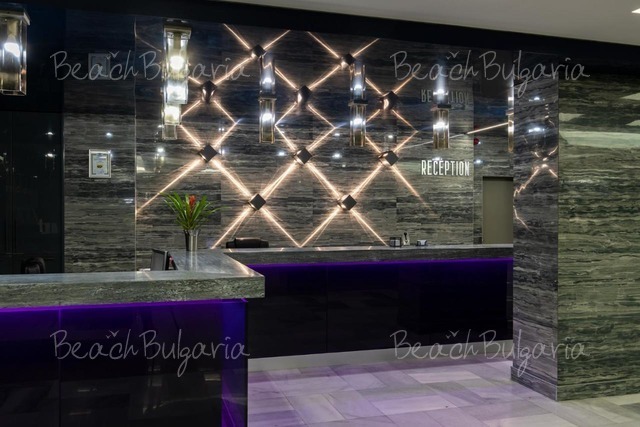 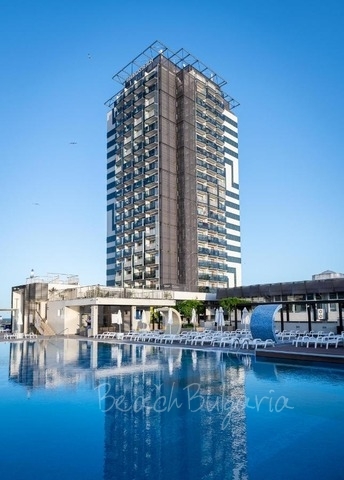 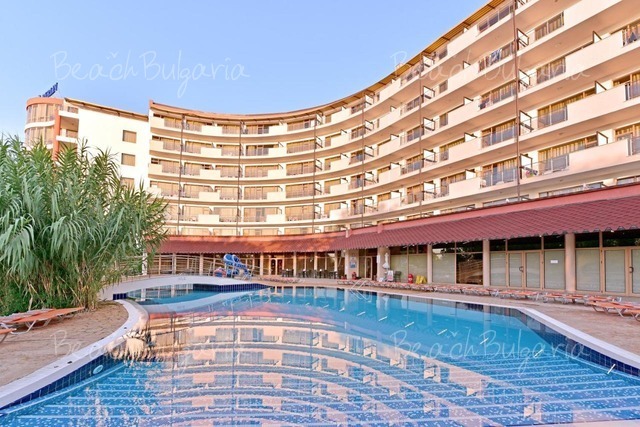 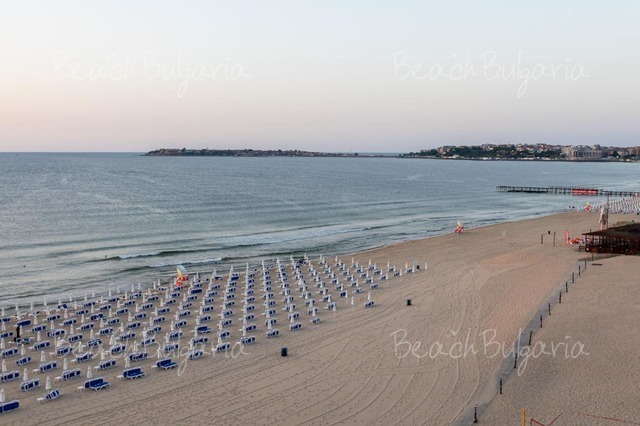 Bourgas Beach hotel is situated on the first line, 50 m from the beach in Sunny beach resort. 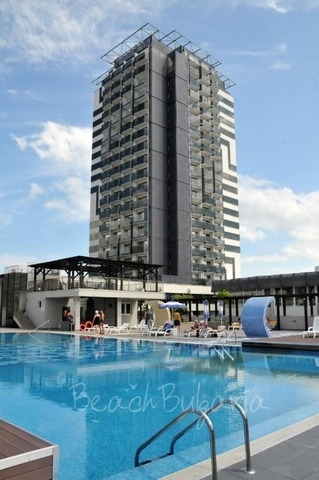 The hotel features fully furnished single rooms, double rooms and apartments. 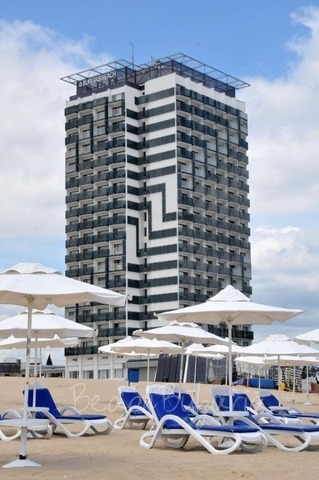 The guestrooms offer balcony, internet access, TV SAT, air-conditioner, phone, shower and hair-drier. 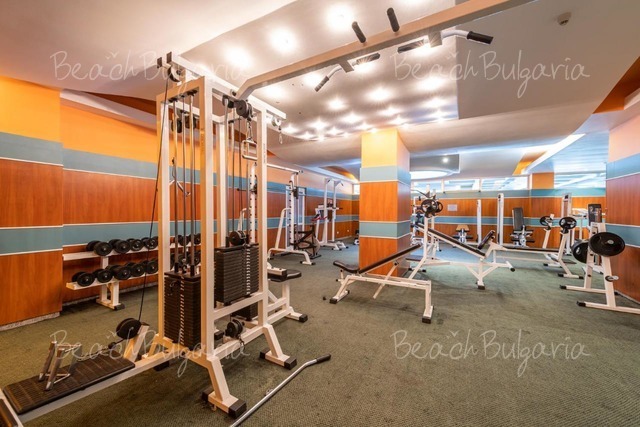 In addition to these facilities the apartments offer fully fitted kitchenette, aspirator, electric rings, fridge. 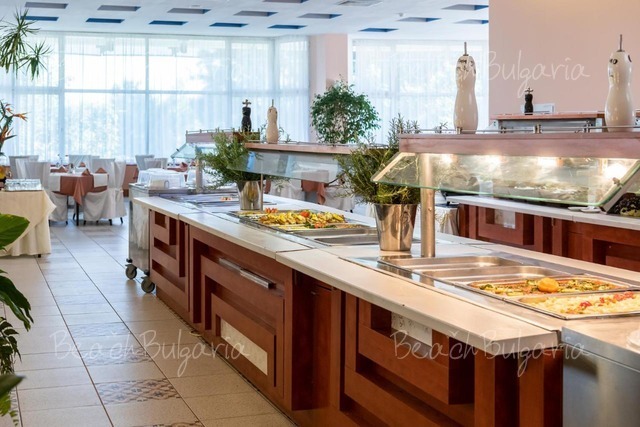 The property offers 3 bars and a restaurant with dishes from Bulgarian and international cuisine and vegetarian menu. 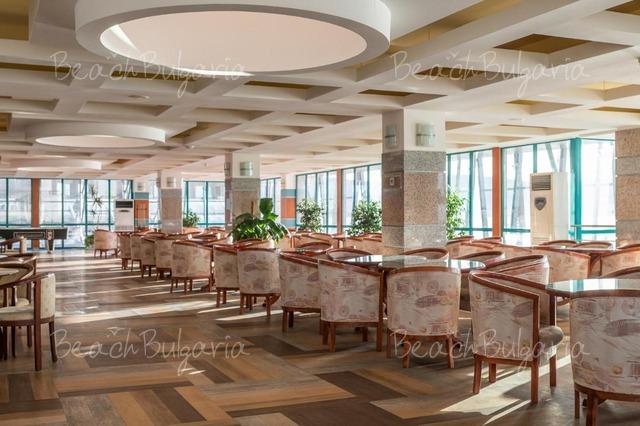 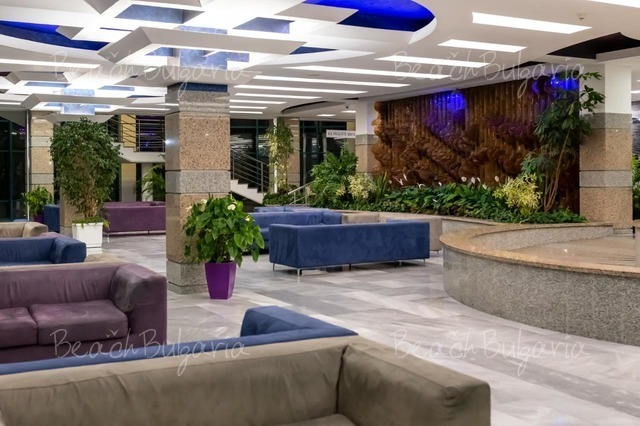 The hotel features olympic-size swimming pool, medical facility, gym, physiotherapy, sauna, solar studio, hydromassage, Jacuzzi, doctor's office, hairdresser's providing manicure and massage, billiards with slot machines, conference halls, children playground and kindergarten, alley with shops. 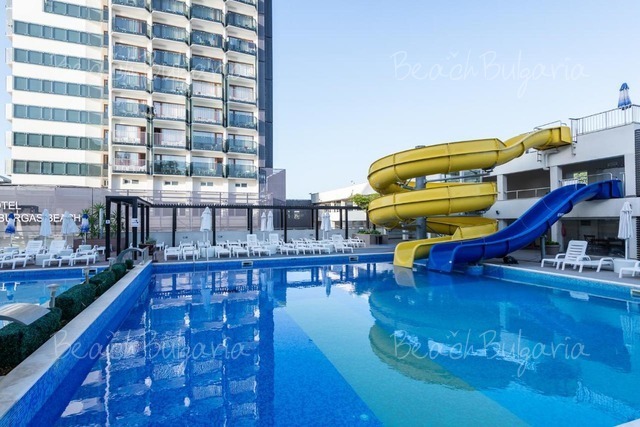 Entertaining programs, Children's pool, playground, Kindergarten, Baby cot. 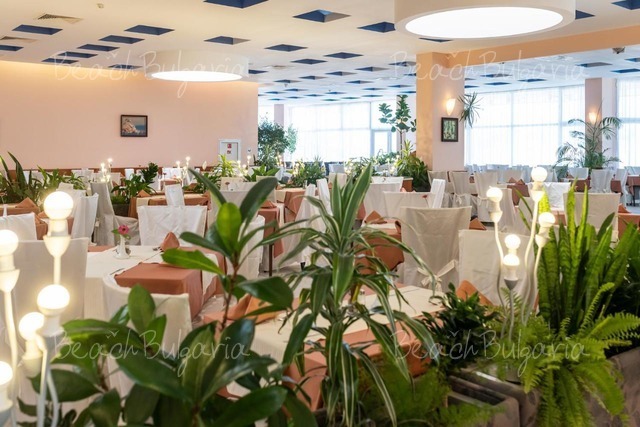 * The rates are in Euro, per room, per night on All Inclusive base. 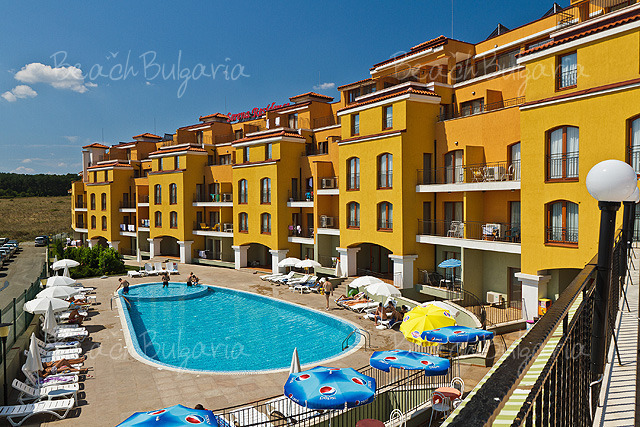 Guests of the hotel can use swimming pool, parasole and sunbed at the pool for free. 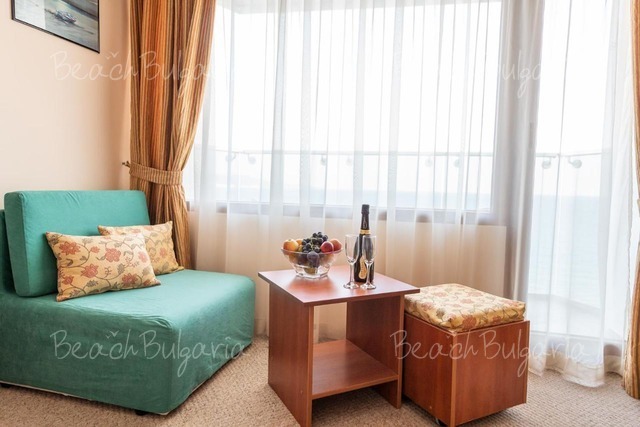 Please, post a comment on Bourgas Beach Hotel .